So I’m a bit behind…I owe you guys three run write-ups, a 26k from Jan, a 35k from Feb, and a half marathon from this past weekend. The 26k was awesome, was just waiting on the forensic evidence pro photos…but the 35k was not-as-good…and those are the stories I struggle to tell. I’ve come to the realization I have a habit of either skipping the bad stuff, or giving it a footnote mention. Mainly because I’m not sure how to talk about it. Especially when it comes to endurance and the horses. Some things don’t make the blog because they fall under the header of “personal” or “can’t do anything to change it so not going to complain/talk about it.” And other things…I don’t know. Sometimes it’s due to diplomacy (especially under the topic of “Other Peoples’ Horses”) and politics and politeness and being raised to not air my dirty laundry to an unsuspecting public. But the badder times on my own pony? I dunno. I realized I’ve never gone into major detail of any of my “pull” rides with her. Maybe because I was usually in a funk afterwards and didn’t feel like revisiting them…or maybe because I didn’t want to be judged/criticized/scoffed at. I’m not out to detail every blip or detail of my day (my life isn’t that exciting/interesting, for one), and some things, due to the aforementioned reasons of diplomacy/politics/politeness, are better left for private conversations, but I think I can do a better job of learning to tell the story — the good and the bad — and embracing the learning experience. 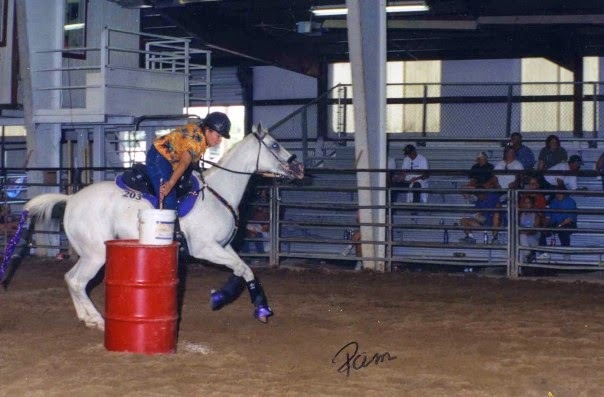 Sometimes I wish I had been blogging back when I first started distance riding. I sort of did, in a way — a personal journal, the sort that will never see the light of day — but I would have liked to have a more detailed record of some of my earlier rides. I have photos, and I have vet cards, and generally a “best of” highlights reel that plays in my head, but it’s only been in the last few years I’ve started doing really detailed ride stories (mostly for my benefit, because I enjoy writing them, as well as for future reference…and I know how much I enjoy reading others’ ride stories). Championship in the POA registry. Heck yes woman, tell us some stories! I started my blog in 2011 for 2 reasons: Keep track of raising my first foal for myself AND put it all out there so people could read and benefit in some way, whether it's pretty pictures, a good story, or a Whoops on my part that if told could save them from the same. There are too many people out there willing to sell false sunshine, and so many others looking for a true common experience or a helping hand. Can't wait to read your stories!